— Julien S. on May 18, 2017. — BEN H. on Aug 29, 2015. — Henri L. on Aug 27, 2015. — Cedric Vasseur / B. on Aug 26, 2015. — Nicolas C. on May 5, 2015. — Roxana B. on Mar 27, 2015. — Valentin on Feb 1, 2015. — Tommy L. on Oct 11, 2014. — Pouëdras on Oct 2, 2014. — Guillaume S. on Jul 23, 2014. — Sacha O. on Apr 3, 2014. — DAFIF on Feb 18, 2014. — Epo J. on Jan 21, 2014. — Bruno S. on Dec 5, 2013. — Robert A. on Nov 7, 2013. — Mohamed H. on Nov 7, 2013. — Pierre S. on Nov 7, 2013. — NGUYEN LONG B. on Oct 31, 2013. — François B. on Oct 31, 2013. — Louis M. on Jun 5, 2013. — Fred M. on May 16, 2013. — Regis on May 16, 2013. — Andry O. on Apr 19, 2013. — LETERME on Apr 18, 2013. — Youssef R. on Mar 12, 2013. — Olivier Gérard R. on Mar 12, 2013. — Thibault P. on Mar 6, 2013. — Mehdi C. on Mar 6, 2013. — Louis T. on Mar 5, 2013. — steve k. on Mar 5, 2013. — gregory on Nov 4, 2012. — Kastenbaum g. on Nov 3, 2012. — Louis R. on Nov 2, 2012. — Antonin L. on Oct 17, 2012. — Cédric B. on Jun 5, 2012. — cyprien D. on May 14, 2012. — KRIM R. on Apr 18, 2012. — Frédéric S. on Apr 18, 2012. — KRIM V. on Apr 18, 2012. — sandrine on Apr 18, 2012. — Alexandre on Apr 18, 2012. — Andres B. on Apr 16, 2012. — Eyal L. on Sep 21, 2011. — Dechristé J. on Jun 5, 2013. — Eric P. on Nov 4, 2014. — Jaqueline B. on Oct 28, 2013. 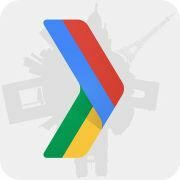 Les Google Developers Groups (GDGs) sont des regroupements de personnes intéressées par les technologies et plateformes de Google: Android, Chrome, GSuite, Cloud Platform... partout dans le monde.